The newest revision of the Aerotank features a bevy of treats for the mouth to lung vaper. 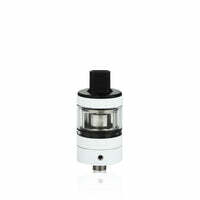 If high wattage isn't your thing the Aerotank Plus is made specifically for you. With its anti leak technology, MTL designed drip tip and its diminutive stature vaping on the go with excellent flavor production is easier than ever.